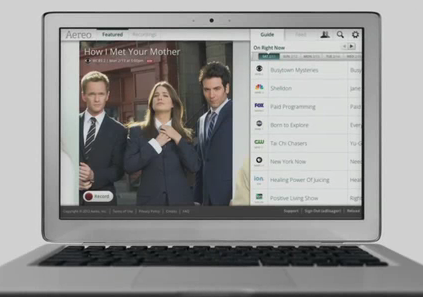 CBS is no fan of Aereo, so CNET doesn’t get to review it. Hot on the heels of inadvertently giving Dish’s ad-skipping Hopper DVR a publicity boost by refusing to let the editors of CNET give an award to the device, the executives at CNET’s parent company CBS apparently want everyone to hear about live-TV streaming service Aereo. Yesterday, CNET did manage to write a story about a new update to Aereo, a start-up service that uses teeny-tiny little antennae to receive broadcast TV signals and then streams them over the Internet, along with providing cloud-based DVR functionality, for a monthly fee. Disclosure: CBS, the parent corporation of CNET, is currently in active litigation with Aereo as to the legality of its service. As a result of that conflict of interest, CNET cannot review that service going forward. And quite a number of words in the story are given over to an explanation of the pending lawsuits filed by CBS and other broadcasters against the company, which currently only offers its service to customers in the New York City area. We wonder if Aereo will take the CNET review snub and try to turn it into a positive like Dish did.